Doesn’t sound too shabby, right? 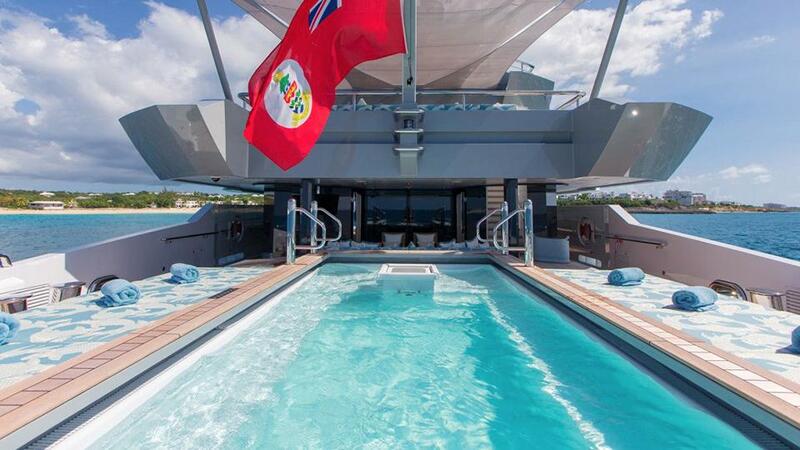 A yacht with a pool is becoming more common among the top yachts for charter or purchase. We’re not talking about Olympic-size pools with a super high diving board, but then again, when you have the entire ocean at your beck and call, who needs one? If all you really need is a quick dip or even a soothing hydro-massage, the on deck Jacuzzi typically acts as the pool on board. Water temperature can be regulated in most, so turning off the heat is an option if you need to cool down after an onboard workout. 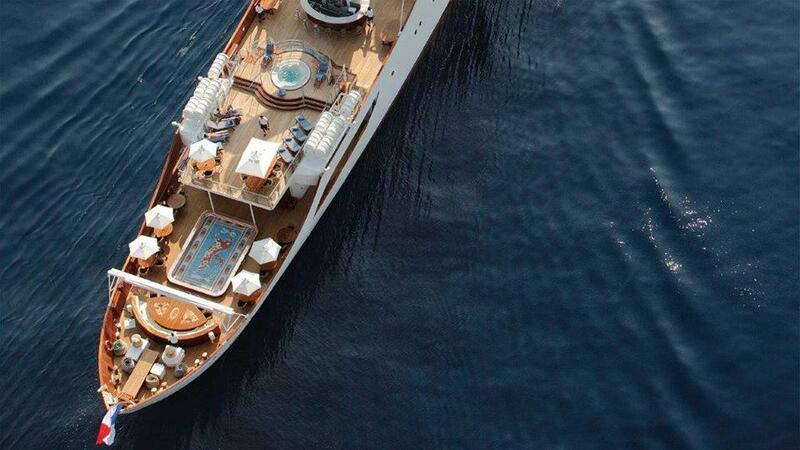 Either way, a yacht with a pool offers the ultimate in relaxation while you take in the vast views of the sea. 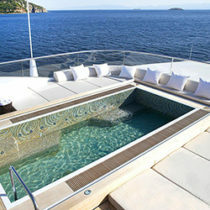 If you’re a swimmer and enjoy challenges, a lap pool is not unheard of aboard some of the finest yachts. Equipped with an intense water jet stream, which is activated upon demand at different speeds, an artificial current disburses the resistance you crave for a full-body workout. 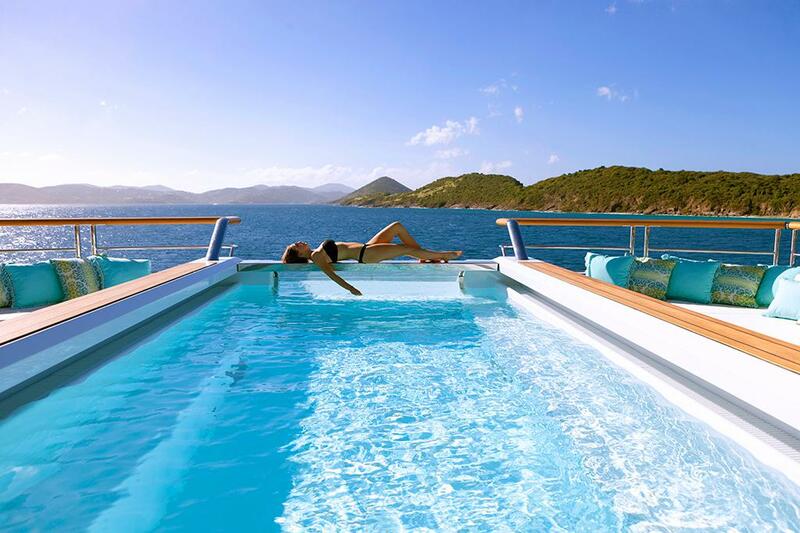 Some onboard pools are large, and offer space for up to 12 people, so the whole charter party can socialize together, sipping custom cocktails and nibbling on tapas. 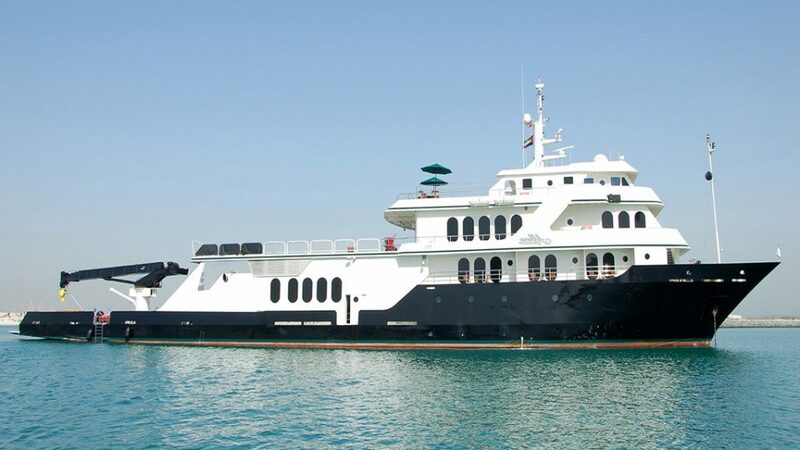 The idea of a yacht with a pool starts to become more realistic when you picture yourself luxuriating with family and friends in the middle of the ocean. 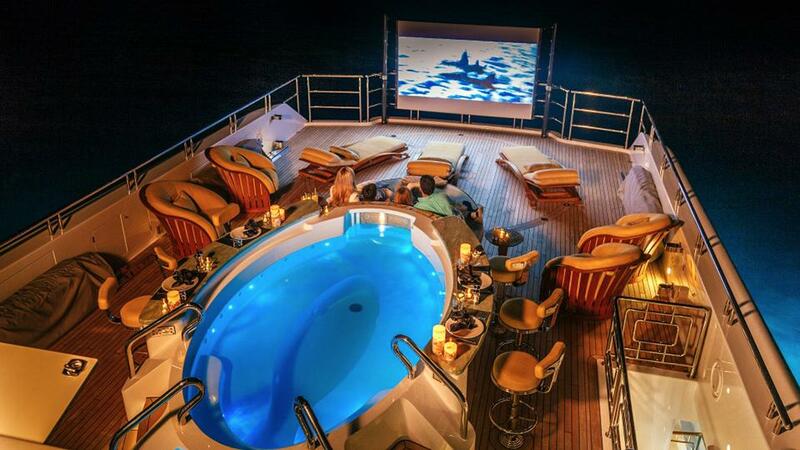 Almost anything seems possible when building a custom yacht with a pool. 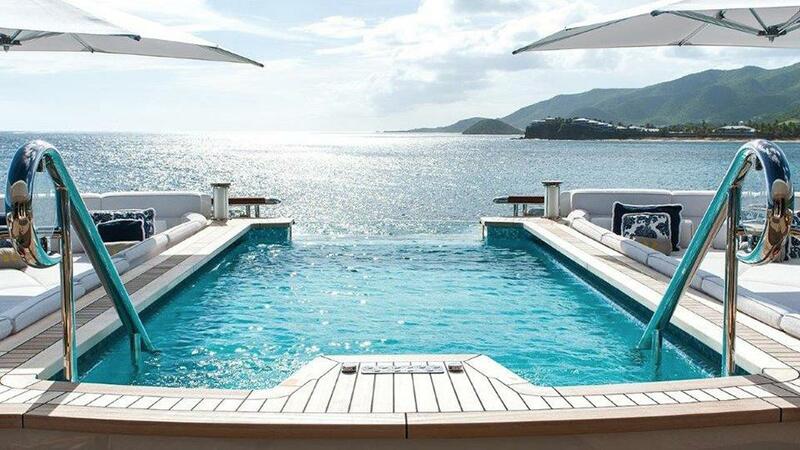 Some superyachts feature an infinity pool, making you feel at one with the ocean. A raised-deck pool broadens your views in all directions, unobstructed and expansive. 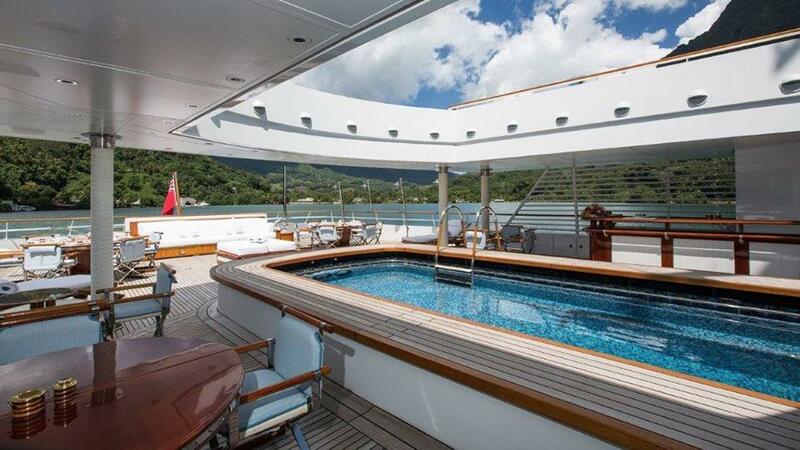 Some yacht stylists can create intricate designs at the bottom and sides of a pool with mosaic tiles that can form some of the most elaborate patterns. 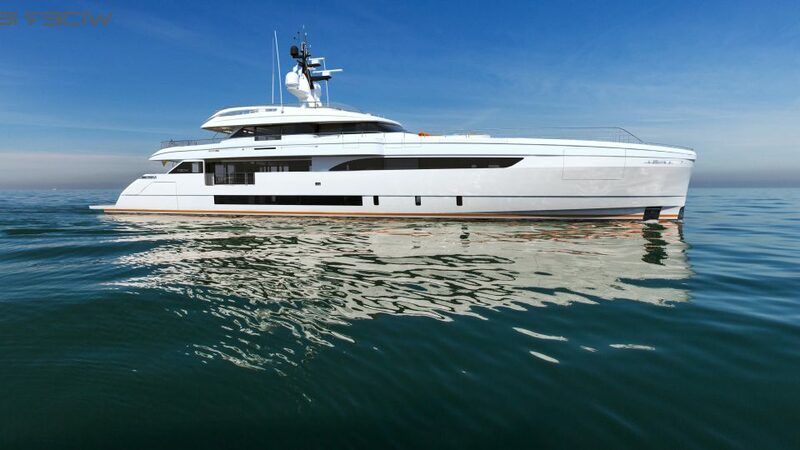 The yachting experts at Merle Wood & Associates are well-versed in yacht sales, marketing, charters, and trends, which makes their clientele the most knowledgeable and prepared yacht owners and charterers in the market today. 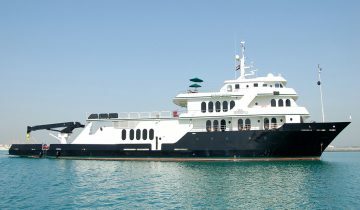 Many of our yacht specialists are former captains and crew themselves. 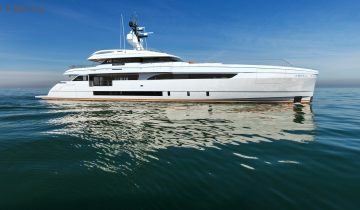 Because of this, they know which mega yachts offer the best pools, some of which are not publicly for sale or charter – creating an experience uniquely tailored to exceed every expectation.